Book Value: What is Book Value of a Company? How to Calculate? Value Investing » Public » What is Book Value of a Company? How to Calculate Book Value? What is Book Value? How to Find or Calculate Book Value? The book value of a company is calculated by estimating the total amount a company is worth if all the assets are sold and the liabilities are paid back. The book value of a stock = book value of total assets – total liabilities. The book value calculation in practice is even simpler. If you look up any balance sheet you will find that it is divided in 3 sections: Assets, Liabilities and Shareholders Equity. Since Asset minus Liability always equals Equity, getting the book value of the stock is as simple as reading off the value on the Total Equity line. Calculating book value per share requires that we take the book value of the company and divide that into the total number of shares outstanding. Book value per share formula above assumes common stock only. If there is preferred stock outstanding, in the book value per share calculation above,the numerator will need to be adjusted by the value of the preferred stock outstanding to get the stock holder’s equity attributable to the common stock holder. There are book value per share calculator available on the internet if you wish too consult one. However, the math is quite simple and there should be no need to do so. Why Use Book Value as a Valuation Method? Book Value of a firm, in an ideal world, represents the value of the business the shareholders will be left with if all the assets are sold for cash and all debt is paid off today. It is therefore a much more conservative way of valuing a company than using earnings based model where one needs to estimate future earnings and growth. Earnings estimations are always wrong as they are essentially guess work (there may be exceptions in well regulated utilities markets where prices are regulated and earnings growth is highly correlated to population growth which can be modeled with a high degree of confidence). There are too many variables that influence earnings, and one has no way of accounting for these variables in the future when making these projections. Working with Book Value is more firmly grounded in today’s reality. In this case, we are not at all concerned about earnings growth and profitability of the company. All we care about is whether we are able to buy the business for less than what its assets are worth (after accounting for liabilities). This is commonly expressed as the ratio of Price to Book. In this case, we are looking for a P/B ratio of less than 1. After all, if we are able to do this, we can quickly turn around and sell these assets in the market one by one and realize a quick profit. However, in reality, one needs to exercise caution when using a simple Book Value to evaluate a stock. It is important to realize that the book value that is reported on the balance sheet is an accounting number and as such it may or may not be the same as the true market value of equity sitting on the company’s books. For example, care must be taken when ascribing value to the long lived assets such as plant, property including real estate and equipment. Accounting requirements do require that most of these assets (except real estate) be depreciated at a pre-determined rate. The expectation is that depreciating assets at their specific schedules makes the book value of an asset close to the market value as it is based on the historical wear and tear of the asset in question. But this is not always true. For example, a plant may still be using equipment that is decades old and has been fully depreciated but clearly has some economic value. In this case, the book value of old equipment is considered to be a big zero on the accounts, but the utility is clearly there. I have personally seen examples of this in some old line manufacturing industries. Granted that this equipment may not be worth much more than scrap value in the market place but that is also not always true. Book value of assets are always at variance to their true market values, and an intrepid investor will correct for this when estimating the true book value of equity. Real estate presents another challenge. They are typically not marked to the market and are carried at their historical valuations on the balance sheet. Consider a company that owns 100s of thousands of acres of real estate in Florida, at an average booked cost of $2000/acre. This company is now developing retirement resorts and communities on this real estate. Clearly the value of the real estate is enhanced by the use that it is being put to but if you just go by the book value on the balance sheet, you will miss this important point. Inventory, if it turns fast enough, is typically not a problem. However, depending on the accounting method the company uses to value inventory, its value may be off quite a bit from its true market value. If the company uses a LIFO method (Last in First out) of inventory valuation, in a rising price environment the company will be expensing more than it is truly using and hence the inventory on the books may be under reported. Reverse is true for falling price environment (for example in semi-conductors and other high tech industries). One can construct similar arguments for the FIFO method of valuing inventory. When I was running my own manufacturing company, this mismatch became quiet clear to me as even though our inventory overall turned pretty well, not all segments of the inventory did. There were quite a few types of inventory that moved really slow and they always tripped us up when we sat down for product planning or strategy sessions. It always pays to look deeper in the inventory line item, just to make sure that you are not surprised later. A company, if it has been operating for a while, has other assets that are intangible. Some of these intangibles are reported on the balance sheet. For example, Goodwill, or as it is sometimes called, Cost in Excess, is the amount this company has overpaid in the past for acquisitions. This value is amortized, but as a potential investor looking to buy stocks, you need to ask if the Goodwill that remains on the balance sheet is really worth what is says it is. Did the company actually receive additional value from these acquisitions that is really worth this amount? Some such sources of value could be a Patent portfolio, customer lists, brand value, etc. Typically, a major part of goodwill is just fluff as companies end up over paying for acquisitions as they are not objective judges of value :-). If there is really some value in the goodwill, than that needs to be reflected in a better profit margins for the company (see: how can I calculate profit margin?). The company itself may own sources of value that are intangible and are not represented on the balance sheet. It is not on the balance sheet as the market has not yet ascribed value to these assets, such as through acquisitions or other similar transactions. For example, a company like Google or Microsoft have great intangible value in the quality of their employees as well as their dominant positions in their markets. A good value investor will not skim over these sources of value and will try to ascribe reasonable valuations to them. A very simplistic way of using book value to determine if the stock is undervalued is to look at the market to book value ratio. This is also called the price to book ratio (p/b ratio). This is similar to price to earnings ratio but uses an asset based denominator instead of an earnings based denominator. A p/b ratio of less than 1 implies that the market is undervaluing the stock to some extent. A good value investor will look a little deeper. Since we now know that the values of assets on the books can differ significantly from the true value of these assets in the market, we should try to recast the entire balance sheet to be closer to the market values and then recaculate the book value of the equity. During this process, a good value investor will also be quite conservative in his estimation. Entire categories of assets (intangibles and goodwill) could be simply discarded if the value investor feels that these assets may be worth very little. Pretty much, only thing that retains its value 1:1 in this recalculation of book value is short term cash. But what if we do not have a good way of estimating the proper market values of assets? What is certain long lived assets have no market at all? Perhaps it is time to be more strict and narrow in our appreciation of value. As you can imagine, proper analysis of the balance sheet requires quite a bit of work. One way to avoid this is to find stocks where this level of detailed work is unnecessary to establish its value. Net Tangible Book Value and Net Current Asset Value are two such measures that to one degree or other simplify the balance sheet valuation process. Net Tangible Book Value: Here, we take the book value of a company and subtract the intangible asset value, counting them for nothing. If a company is still undervalued, than it is most likely a great buy. Net Current Asset Value (NCAV): This goes one step further and removes the Long Term Assets from the Net Tangible Book Value. 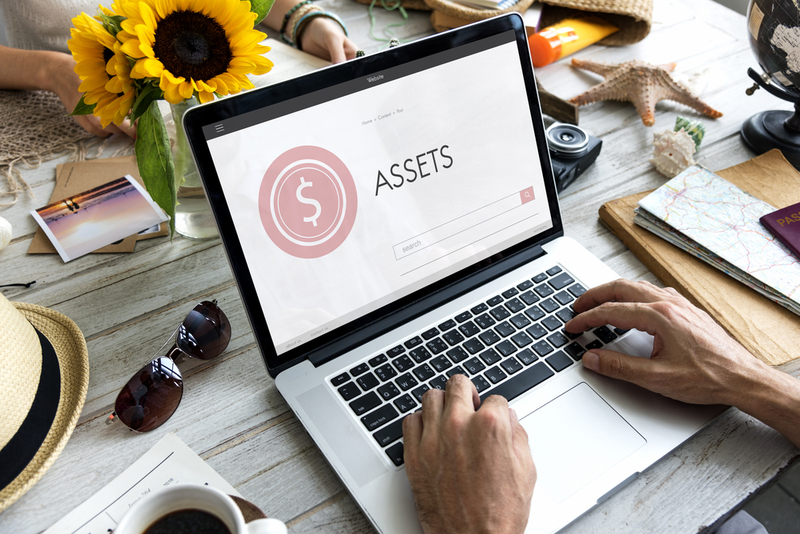 What you have left over now is just the Current Assets (assets that are either cash or can be quickly converted to cash) less Total Liability. If the resulting value is higher than the market value of the company, this stock is a definite buy. These cases are rare but do exist. I lean towards balance sheet valuation and most stock picks in premium section are based on this. However there are situations where this may not reveal enough good stock candidates and one needs to look to the earnings for finding more undervalued stocks. In one of the future articles I will write about how to use earnings to estimate intrinsic value of a stock. Pro Tip : Move your windows based trading software online with citrix xendesktop from CloudDesktopOnline.com at an affordable xendesktop cost with time saving features such as remote accessibility, flexibility without missing your desktop environment. To know more about such hosted software products visit Apps4Rent. Thank you. This was a great synopsis and breakdown of book value! I really appreciated it. Very helpful—good easy to understand writing. I don’t fear the balance sheet anymore. where can one look up a stock’s book value?